Download Photographer Business Card Template. Today we have a new free psd for you and it is Business Card Template which specially designed for Photographers. It is also Perfect for business like creative studio, fashion designer, wedding planner and event photographer. This Photographer Business Card Template freebie Included with 2 Color variations which you can use according to your choice. Free Business Card Template contains total 4 PSD files (front and back design), which is designed 2in x 3.5in size and these are 300 dpi print-ready CMYK PSD files. The Business Card Template files are designed in Adobe Photoshop and can be customise and edited, you will be able to change the images, icon and text easily. 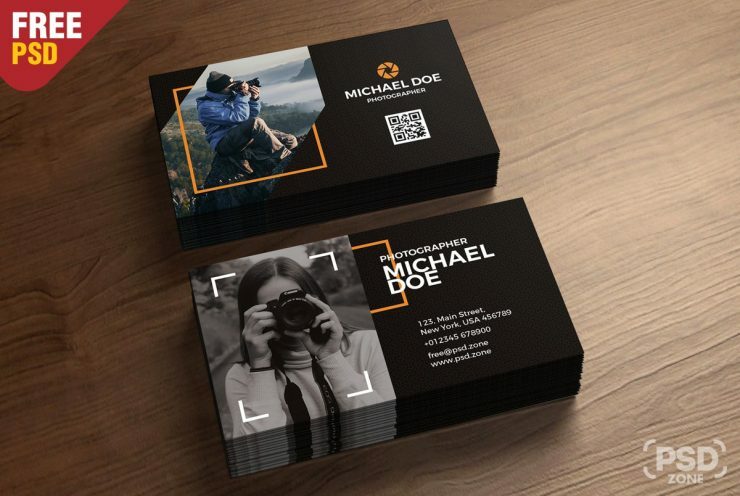 Hope you like this Photographer Business Card Template. Enjoy!